Are you looking for a convenient place to store and age your wine collection? Most people dream of designing their own custom wine cellar in their home. Not only is a wine cellar a luxurious addition to any home, but it can also serve as a place to gather with close friends and family. 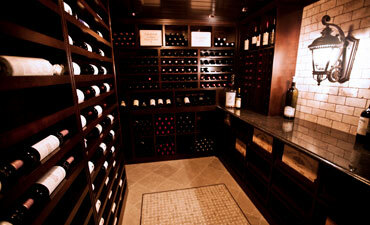 A licensed home building contractor can help you make your custom wine cellar dreams a reality. While the main feature of any custom-built wine cellar is the storage racks that will hold your wine collection, it’s important to consider how the room will be used. For example, if you plan on hosting small intimate gatherings of family and friends, you may want to make sure you leave enough space in your basement for some elegant chairs or a counter for people to stand beside and make conversation. On the other hand, if you want your residential wine cellar to be a feature of your formal dinner parties, you may want to consider space for an inviting table and chairs. A small refrigerator can also be a nice place to store food meant to be paired with your best wine. When working with an experienced wine cellar builder, be sure to discuss how you want the space to be used. This will help them gain a better sense of how the dimensions of the wine cellar should be sketched out. There are also online tools or smartphone apps for remodeling you can use to help map out the main features of your custom-designed wine cellar. Wine cellars require proper refrigeration. This means that a wine cooling system will have to be installed in your walls. If done improperly, the quality of your wine collection could suffer, costing you money and pride. Make sure your wine collection storage is properly refrigerated by hiring a professional wine cellar construction company. Improper refrigeration could result in damage to your wine collection, walls, and ceiling. If you are interested in building a wine cellar, your first step is to contact a luxury home building contractor with the appropriate experience. When considering a potential contractor, you will want to make sure that they are licensed and insured. You’ll also want to ask for recent references for projects similar to yours. If a remodeling company goes under new management, they may not create the same beautiful results they did five years ago. Asking about projects similar to yours will also help you determine if they are qualified for your custom wine cellar remodel. For example, a building contractor may have plenty of experience in kitchen remodels and have little to no experience with custom wine cellar construction. Even though there are tons of online resources for how to build your own wine cellar, we recommend going to the professionals to create a luxurious custom wine cellar you will be proud to show off. If you are interested in our lower level and basement remodeling services, please feel free to call our Oakland County premier home building contractors at (248) 655-5580. 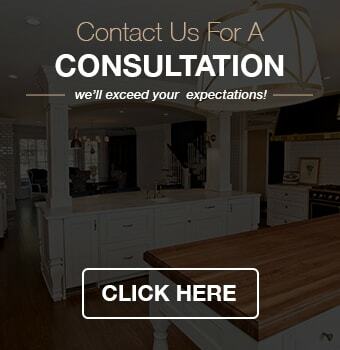 Kastler Construction Inc. is dedicated to helping homeowners unlock the potential in their homes through quality construction.